CS SoundStop combines all the benefits of our standard models with the added feature of measured acoustic ratings up to STC 43. 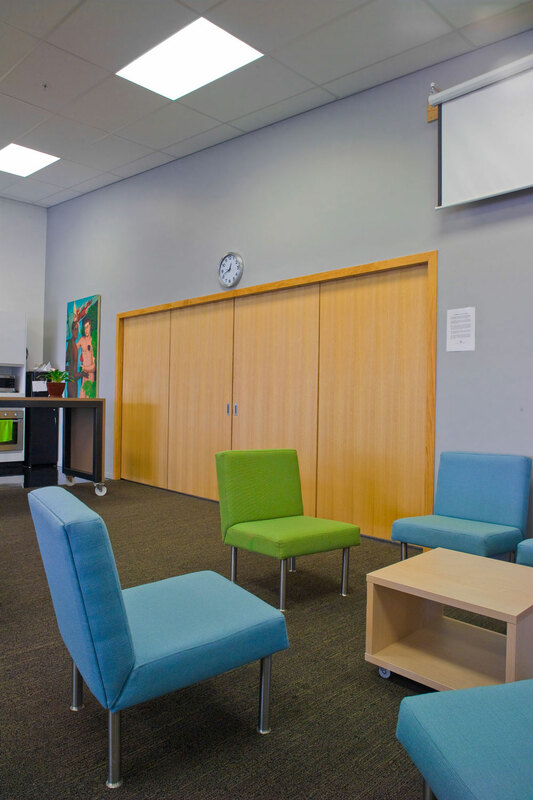 These units are supplied complete with a specialised acoustic door panel. 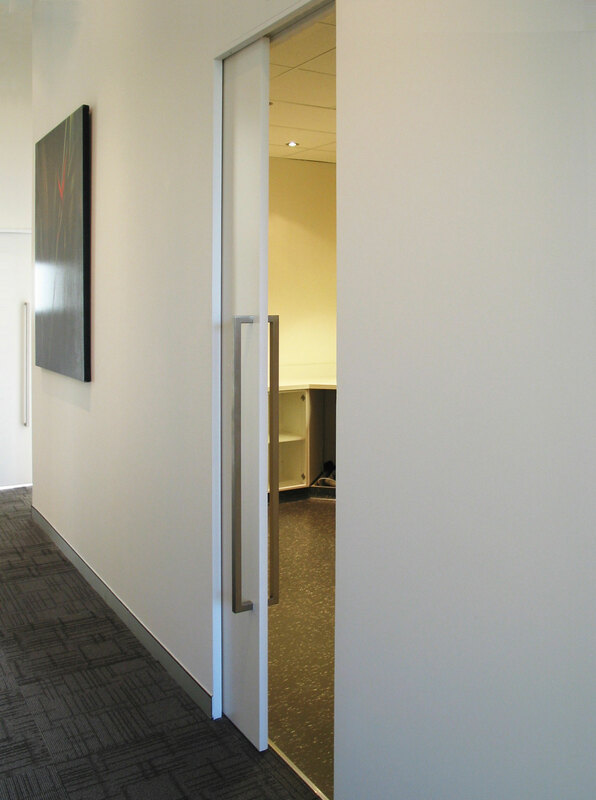 This cavity slider is perfect for boardrooms or any other area requiring a level of privacy. Due to the weight of the door leaf it is recommended that the door does not slide fully back into the pocket. Our AluTec aluminium door leaf is also available for use with the SoundStop cavity slider. 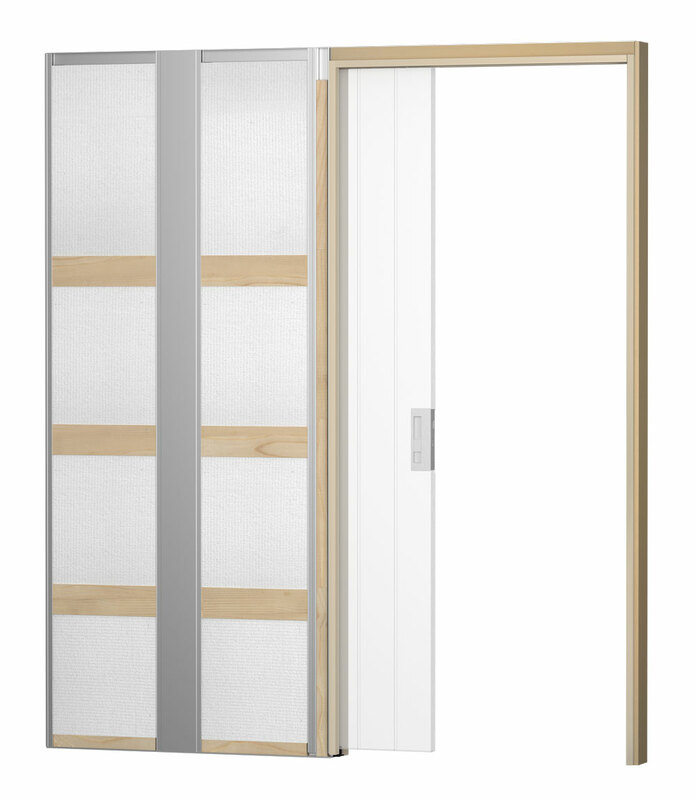 It has been tested to STC 36 and is suitable for single doors up to 2400 x 2200mm. 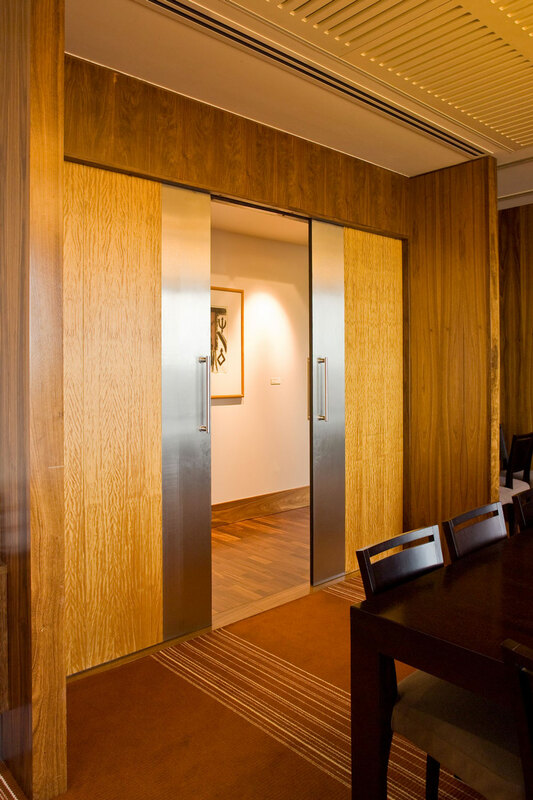 GIB® Noiseline® 13mm linings must be used.